B. Sakschewski, W. von Bloh, A. Boit, A. Rammig, J. Kattge, L. Poorter, J. Peñuelas and K. Thonicke (2015). Leaf and stem economics spectra drive diversity of functional plant traits in a dynamic global vegetation model. Global Change Biology, DOI: 10.1111/gcb.12870. Rammig A, Jupp T, Thonicke K, Tietjen B, Heinke J, Ostberg S, Lucht W, Cramer W & Cox P 2010. Estimating the risk of Amazonian forest dieback. New Phytol 187(3):694-706. Forkel M, Thonicke K, Beer C, Cramer W, Bartalev S, & Schmullius C (2012). Extreme fire events are related to previous-year surface moisture conditions in permafrost-underlain larch forests of Siberia. Environmental Research Letters, 7(4). doi: 10.1088/1748-9326/7/4/044021. Thonicke K, Spessa A, Prentice IC, Harrison SP, Dong L and Carmona-Moreno C (2010) The influence of vegetation, fire spread and fire behaviour on biomass burning and trace gas emissions: results from a process-based model. Biogeoscience, 7(6), 1991 – 2011. Thonicke K, Venevsky S, Sitch S, Cramer W (2001), The role of fire disturbance for global vegetation dynamics: coupling fire into a Dynamic Global Vegetation Model. Global Ecology & Biogeography 10, 661-677. Module/workpackage lead in the FP7 projects AMAZALERT (2011-2014, www.eu-amazalert.org), Carbo-Extreme (2009-2013, www.carbo-extreme.eu), FUME (2010-2013, fumeproject.uclm.es ), ROBIN (2011-2015, robinproject.info/home), as well as the BMBF-funded project LEGATO (2011-2016, www.legato-project.net) and the DFG-funded German-Brazilian Graduate School IRTG 1740 (2011-2015, www.physik.hu-berlin.de/irtg1740/). Working on the role of functional diversity on carbon storage in tropical forest ecosystems, impacts of climate extremes on ecosystem vulnerability and the carbon cycle, and the role of fire in land-use change processes in the Amazon. Mentoring female scientists (with young children) in science on work-life balance. 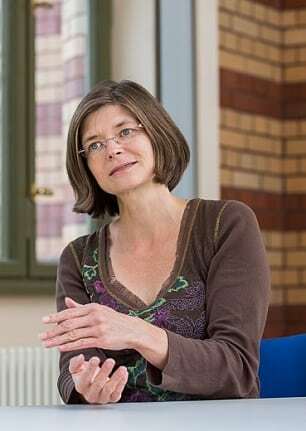 Prof. Kirsten Thonicke's team at the Potsdam Institute for Climate Impact Research could show how the Amazon forest would be able to adjust to moderate climate change due to its rich biodiversity.